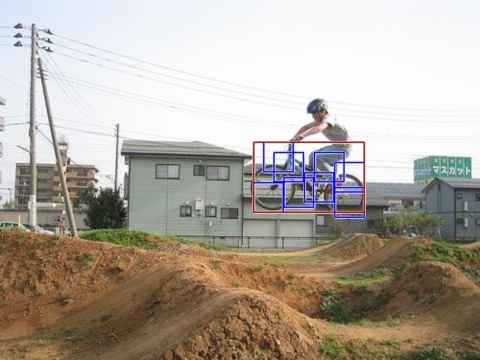 Over the past few years we have developed a complete learning-based system for detecting and localizing objects in images. Our system represents objects using mixtures of deformable part models. These models are trained using a discriminative method that only requires bounding boxes for the objects in an image. The approach leads to efficient object detectors that achieve state of the art results on the PASCAL and INRIA person datasets. 1) Strong low-level features based on histograms of oriented gradients (HOG). 2) Efficient matching algorithms for deformable part-based models (pictorial structures). 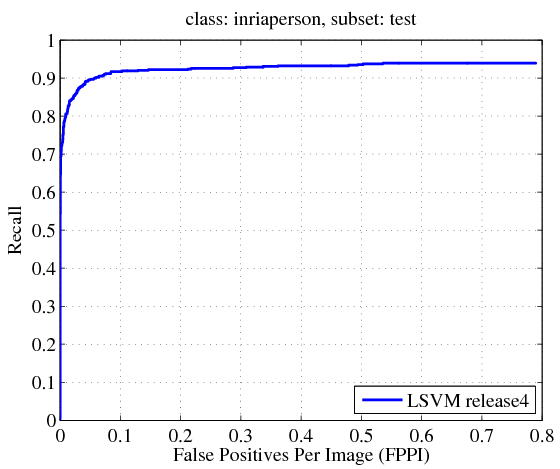 3) Discriminative learning with latent variables (latent SVM). Here you can download a complete implementation of our system. The current implementation extends the system in  as described in . The models in this implementation are structured using the grammar formalism presented in . Previous releases are available below. 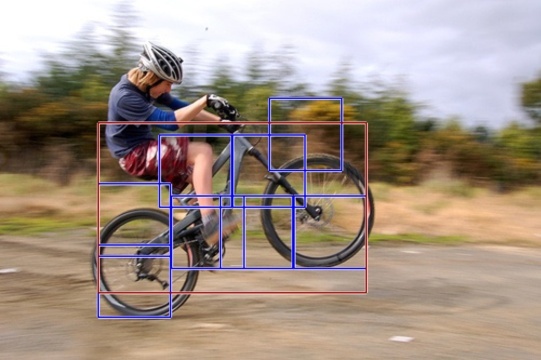 The distribution contains object detection and model learning code, as well as models trained on the PASCAL and INRIA Person datasets. This release also includes code for rescoring detections based on contextual information. Also available (as a separate package) is the source code for a cascade version of the object detection system, which is described in . The system is implemented in Matlab, with a few helper functions written in C/C++ for efficiency reasons. The software was tested on several versions of Linux and Mac OS X using Matlab versions R2009b and R2010a. There may be compatibility issues with other versions of Matlab. For questions regarding the source code please contact Ross Girshick at r...@cs.uchicago.edu (click the "..." to reveal the email address). Source code and model download: voc-release4.01.tgz (updated 11/23/11). This project has been supported by the National Science Foundation under Grant No. 0534820, 0746569 and 0811340. Slides from a presentation given at the 2009 Chicago Machine Learning Summer School and Workshop pdf. P. Felzenszwalb, D. McAllester, D. Ramaman. A Discriminatively Trained, Multiscale, Deformable Part Model. Proceedings of the IEEE CVPR 2008. 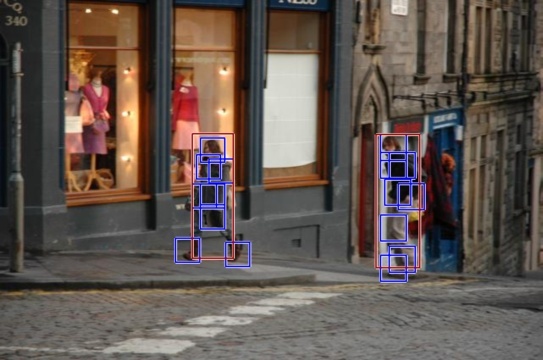 Object Detection with Discriminatively Trained Part Based Models. R. Girshick, P. Felzenszwalb, D. McAllester. release4-notes.pdf -- also included in the download. University of Chicago, Computer Science TR-2010-02, February 2010. P. Felzenszwalb, R. Girshick, D. McAllester. Proceedings of the IEEE CVPR 2010. When citing our system, please cite reference  and the website for the specific release. The website bibtex reference is below. This is exactly the protocol of the "comp3" competition. Below are the average precision scores we obtain in each category. We also trained and tested a model on the INRIA Person dataset. 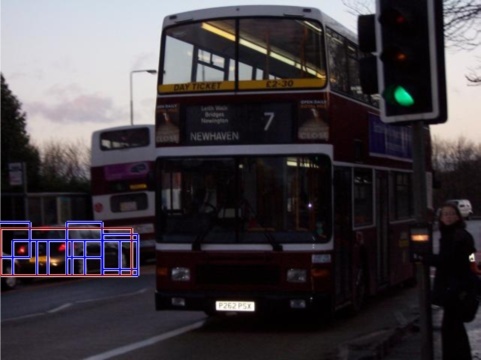 We scored the model using the PASCAL evaluation methodology in the complete test dataset, including images without people.